Together with fat injections, you can think of these substances as soft tissue body fillers. These soft tissue fillers can be used alone or in conjunction with other cosmetic surgery procedures such as Microdermabrasion, Botox and Facelifts and can often be performed at the same time to enhance your result. These treatments are indicated for people desiring to correct skin depressions such as wrinkles and depressed scars, but they can also be used for contouring. When injected underneath the skin these fillers can plump up the wrinkles and sunken areas of your face such as the sides of the nose, the smile and frown lines or augment your lips if they are thin, temporarily restoring a smoother and younger look. The injection of soft-tissue filler is well accepted by patients because the procedure can be performed as an in-office procedure, with few or no side effects. The patient can return to work and normal activity soon after treatment. An ideal filler would be inexpensive, easily available, and relatively long lasting, but not necessarily permanent. It would be painless at the time of injection, and it would produce reproducible results. There should be minimal adverse effects (such as bruising, irritation, allergic reaction, migration, and infection). At present, there is no substance that can meet all the requirements. It is important to remember that these fillers are not permanent, with exception of Goretex and Artecoll. Goretex is a synthetic tubular material, which can be placed under the skin as a filler (Softform) or as an implant to augment the cheek or chin. Microdroplet Liquid Silicone has been around for a long time and, although permanent, it is not recommended and is not approved by the FDA as a soft tissue filler. Artecoll (Artefill) has been used in Europe for many years but has been associated with a lot of problems. It consists of tiny acrylic microspheres suspended in collagen and is used for corrections of depressions and deeper creases but not for fine lines or for lip augmentation. Artecoll called Artefill in the US has been approved by the FDA but it was not used much because of too many complications and the company has since gone bankrupt. Bellafill is a new product just approved by the FDA but is a reworked Artecoll coated with collagen. The collagen in Bellafill will promptly in a matter of weeks be absorbed and you are left with the same product as Artecoll. All these products can be associated with risks such as infection, granuloma formation (foreign body reaction) resulting in visible nodules, malposition/migration creating deformity and extrusion through your skin. Most of these products are offered to the naive patient by physicians with questionable credentials. My preference is to use your own tissues such as fat transplantation but, as an alternative, a good choice is Hyaluronic Acids since as a fillers they represent an improvement over the rest in regards to safety and lasting effects or Radiesse and Sculptra which are intended to restore volume and correct the signs of facial fat loss. Often your result with fillers will be enhanced when combined with Botox. There are over a million doctors who perform injections and very few are qualified. You can learn more and check Dr. Herve Gentile as an expert injector on expertinjector.org. Fat graft transplantation consists of removing fat from one area of your body and using it to fill and contour your face, enhance your lips and even augment your buttocks. In my experience fat grafts tend to last years, much longer than any other soft tissue filler and are well tolerated since it is your own living cells that are used. These fat grafts also contain thousands of your stem cells, which have the capacity to differentiate into any type of cells thereby rejuvenating your tissues. The fat is extracted usually from the abdomen or hips and the procedure can be performed under local anesthesia or under general anesthesia during liposuction or another surgical procedure. 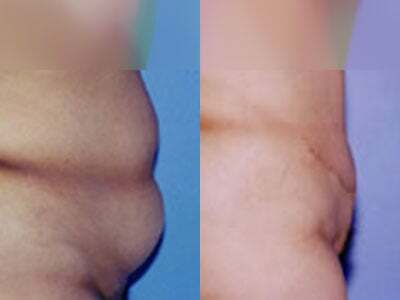 The injected sites will look fairly normal after a few days, but overfilling is necessary to compensate for some fat absorption, which inevitably will occur. Without a doubt this is the best volume filler because not only it uses your own fat but also it transfers it in the same place where you fat belongs. In the face you can think of it as an early facelift. See also Facial Injection/Fat Transfer to Face under Facial Redefinition. Restylane is a unique hyaluronic acid-base filler derived from a bacterial cell-line while Hylaform is derived from an avian source – rooster combs. Juvederm and Puragen are other similar hyaluronic acid-base fillers. Restylane and Juvederm both come in different gel versions depending on the grade of viscosity and the different size of the particles. Juvederm Ultra is injected in the deeper layers of your skin and is used for moderately deep wrinkles and for lip augmentation. Because of its versatility it is one of the most common fillers available. Restylane Fine Lines has the smallest particle size and it is designed to treat only the fine wrinkles since it is injected into the most superficial layer of your skin. Recently Juvederm Voluma XC has been made available and it lasts longer since it has the largest particle size. Voluma XC is injected deep underneath your skin and can only be used for augmentation of folds and shaping your facial contour. Hyaluronic acid is a natural component of our skin and is present in all living organisms. It is especially important in our body skin since it clings to water keeping our skin full and supple. Our body also uses hyaluronic acid to lubricate our joints. 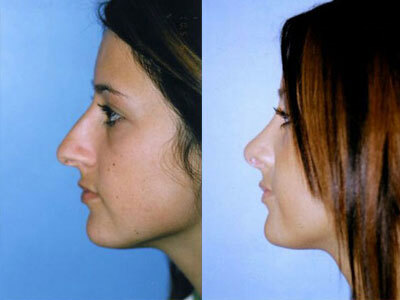 It has rapidly gained in popularity and is the most commonly used filler today. It can be used alone or in concert with other procedures. Hyaluronic Acids is marketed in over 60 countries and has an excellent safety history. It rarely causes allergic reactions and its effects last about 6 months. Juvederm is currently the only hyaluronic acid filler approved by the FDA to correct moderate to severe wrinkles and folds for up to a 1 – 2 years. Is an injectable version of a familiar molecule – calcium hydroxyapatite, which is synthetic bone and can be used in its other solid form to augment cheeks and chin. Since this is the substance that forms the non-cellular architecture of our bones it is non allergic and its effects are long lasting possibly more than one year. Radiesse both fills and stimulates the body to produce new collagen. In a key study conducted in four medical centers 80% of patients showed improvement in the nasolabial fold at one year when compared to Cosmoplast, which showed improvement only in 5%. It is useful only for deep wrinkles, like the nasolabial folds and to restore facial fat loss in HIV patients, since it will harden the overlying skin. Sculptra has been approved by the FDA for correction of fat loss related to human immunodeficiency virus ( HIV ) to reduce the sunken appearance in the cheek, temple and eye areas of these patients. 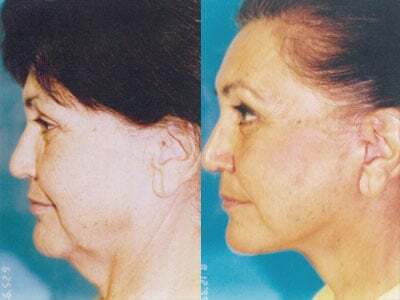 It is a very promising filler and may be indicated in correcting the loss of fat volume which occurs in early aging of the face thus postponing the need for a facelift in those thin patients devoid of fat. Sculptra is an injectable implant that contains microparticles of poly L-lactic acid, a biocompatible, biodegradable, synthetic polymer that has been widely used in re-absorbable sutures. It increases the thickness of the skin in the treated areas by stimulating your body’s tissue to produce your own collagen thereby improving the appearance of the fat loss in your face. It is important to understand that the skin depression may reappear after the first treatment since Sculptra requires a longer process than other fillers because your collagen production takes time. Therefore multiple treatment sessions are required but most patients will obtain the desired result with 3 treatments spaced about 4 weeks apart (however some patients will require more depending on the severity of the problem and an estimate will be provided at the time of consultation). Expectations and individual results may vary, but long term results at 2 years have shown very good patient satisfaction and a 5 year study is underway. Like all other filler injections minimal to no swelling and bruising is noticed following the treatment and one of the side effects is that you may feel some bumps in the treatment area which are not typically visible. Autologen is an injectable collagen derived from your own skin. Autologen is processed from skin excised during other surgical procedures where the excessive skin is discarded or is harvested in an office procedure just for that purpose. The skin is then sent to the Collagenesis Company, which prepares it for injection. The company has also established a BioBank for long term storage allowing for skin and tissues to be stored indefinitely. Autologen is a safe procedure requiring no allergy testing and the results are much longer lasting then Collagen. However, Autologen has limited use today because of the high cost and short duration of its effects. With Isolagen your fibroblast cells, which produce collagen, elastin and hyaluronic acid are grown and multiplied to form the filler. A biopsy is taken of your skin, usually behind your ear, and sent to the company’s laboratory for cell culture and expansion. After 8 weeks of processing, the patient’s fibroblast cells are sent back to be injected. Three treatments are recommended but it was withdrawn from the market in 1999 because of some questions regarding its clinical trials. A new company has been formed called Fibrocell Sciences, which has obtained FDA approval in 2011 for Laviv, the new name for Isolagen. Therefore, despite the claims, Laviv isn’t exactly new technology. The results on wrinkles are variable with good results in approximately 60% of patients, but the cost is prohibitively high. May have potential in the future when the cost is lowered and the process is further refined. Collagen ( Zyderm, Zyplast ) is a natural bovine protein injected in small amounts underneath your skin to fill the skin creases and wrinkles. It works best for small depressions and a skin test to determine whether you are allergic to it is performed one month before treatment is started. Since it is absorbed it does require a touch-up every 1 – 3 months. Not often used today because there are better fillers that last longer. Cosmoderm and Cosmoplast are the equivalent to Collagen’s Zyderm and Zyplast except that they come from laboratory-grown human cells. Cosmoderm and Cosmoplast do not require allergy testing since they are not of bovine origin. The effects last approximately 3 months. Cymetra, which is not used today, was an injectable human tissue matrix procured from donor tissue that has undergone a patented process. It was then converted into smaller particles consisting of spheres, and this framework was then repopulated by the patient’s own skin cells. It was otherwise similar to Autologen and again like Collagen it is not popular today because its effects are not as long lasting as other fillers. The newest one which has been approved by the FDA is Evolence. It is made with pig collagen which is similar to ours and therefore requires no skin testing. It may last a little longer but definitely not as much as the Hyaluronic Acids Juvederm and Restylane. To see our extensive photographic catalogues of pre-operative and post-operative photographs please contact our office and schedule a complimentary consultation.